Good job Google! Apparently Google and Disney World have been working together, because today on the Google Blog they announced Walt Disney World Resort in 3D. 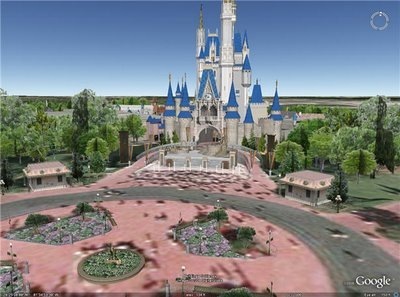 WDW 3D is an addition to Google Earth allowing you to virtually visit all of the theme parks and resorts at WDW. I’d love to see the whole world done over like this. I know it would take a long time to catch up to all the buildings already out there, but I figure it must take a fraction of the time to make a 3D rendering as compared to building a building. Once they catch up it should be easy to maintain pace. Plus most buildings already have 3D models used internally. Google should open up a repository for architects to submit their renderings. If I was in government I would be calling Google and trying to get them to work with my city to model it with this level of detail. I’d love to see Las Vegas or New York like this. What places would you like to see show up next on Google Earth? SqlSaturday – This weekend in Tampa! Well here we go again – more great free developer events in central Florida. As you can see I’m specifically targeting session covering business intelligence. I also have to indulge and check out Joe Celko. If you haven’t heard of him I HIGHLY recommend you read his book: SQL for Smarties. On a side note – someone is keeping a blog of things that Celko says out and about on forums. It’s the next best thing to the man keeping a blog himself!